It was a rainy afternoon 6 years ago when I visited a homeopathic doctor that told me I looked terrible on the inside. She told me I seriously needed to change my diet. That was my first wake up call of many in connection to food. After that I slowly started thinking more about what I ate but it took time and a lot of effort to change my unhealthy habits. One of the best things I did in the beginning was reading and watching documentaries about health. But this also got me confused, there are so many ways out there, so what really is the best way? Remember The Karate Kid? 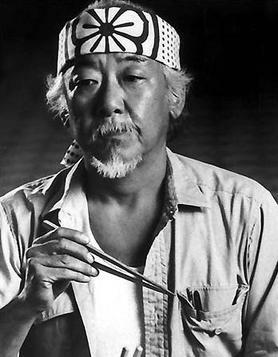 Well I (Dagný) feel like him these days but only Mr. Miyagi is combined into a Scottish dude with long hair and Canadian yogini with a full tattooed sleeve. The yoga teacher training is full on, 6 days a week from 6 am to 7 pm, strict diet, hours of asana, pranayama, kriyas, chanting, meditation, teachers training and talks about the philoshophy/science of yoga. In the middle of these intense practices, when I am totally exhausted and on the verge of giving up I have some inspiring teachers in front of me that have done some intense practices and have wild stories to tell.. In between the picturesque places we have visited in our travels in the north of India, there where some very difficult moments that are in retrospect our most exiting memories and stories to tell. We decided to travel this part of the trip on a strict budget to prove the point that you don´t need a lot of money to travel or enjoy. Now that we have finished our travels in the north we think of all the brilliant people we met on the way, some we got to know well, some inspired us for a moment. This was a complete afterthought and we wished that we had taken photos of all the lovely people we met, but here are some of traveling souls we remembered to capture! We came to the ashram knowing nothing what we were getting ourselves into or I (Dagný) most certainly didn’t. 18 hours and 3 overcrowded buses later we were finally in Rishikesh, the yoga capital of the world. We arrived on the first of Diwali, the festival of lights. The first night was full on, fireworks everywhere and candles floating on the Ganges river.